As presented live at IDEM, Singapore. Cosmetic dentistry has seen continuous growth in recent years, fueled by increasing media hype and the desire to attain the “perfect smile”. Due to the recent change in treatment philosophy, a minimally invasive approach is being adopted in cosmetic dentistry, with an aim to preserve maximum natural tooth structure while still achieving the desired aesthetic result in the best interest of the patient. Advances in dental material technology and the development of novel aesthetic restorative materials have truly brought dentistry to the 21st century. Biocompatible aesthetic indirect restorative systems such as Ceramage, a zirconium silicate filled indirect composite, has provided the clinician with a wide array of restorative options ranging from conventional crowns and bridges to minimally invasive onlays, inlays, veneers, etc. This comprehensive presentation will explore the novel application possibilities of a versatile aesthetic indirect composite system with a focus on its application in minimally invasive cosmetic dentistry. “Exploring New Frontiers in Indirect Aesthetic Restoration” is co-sponsored by Tribune Group GmbH. Tribune Group GmbH is a recognized ADA CERP and AGD PACE provider. 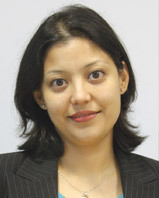 Dr. Shriju Joshigraduated with a Bachelor of Dental Sciences degree in 2001 from the College of Dental Surgery, Manipal, India following which she gained clinical experience at the National Dental Hospital and a private dental practice in Kathmandu. She is a life member of the Nepal Dental Association. 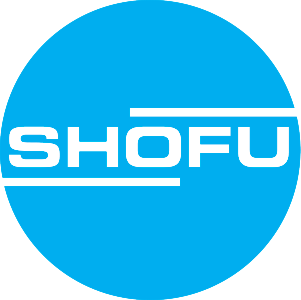 Dr. Joshi is the Product Manager for Shofu Inc., Singapore. Prior to joining Shofu, she did research work for a year at the Tissue Modulation Laboratory, National University of Singapore, and helped with the project that investigatedthe development of novel assays to quantitate collagen in cell culture media and extracts.